Water damage emergencies can spell disaster for property owners in Richardson, TX. Water damage can be caused by floods, heavy rains, sewage backups, pipe bursts, and frozen pipes. Any one of these disasters can cause property damage and lead to a mold infestation. You can get help mitigating the effects of water damage by contacting 911 Restoration of East Dallas right away. Our water damage restoration crews are on call 24/7/365 and they can reach properties around Richardson within 45 minutes of your emergency call. You can get the help you need to handle flood cleanup in Richardson by contacting 911 Restoration of East Dallas today. Water damage in Richardson can take many forms. Your home or business can begin experiencing damage within hours after a pipe bursts. Moving quickly can limit the total damage to your property. That’s why 911 Restoration of East Dallas focuses on same-day flood cleanup in Richardson. The crews at 911 Restoration of East Dallas can even handle frozen pipes in Richardson. The warm temperatures our area experiences for most of the year can quickly give way to harsh winters that can damage the plumbing in your home or business. Make sure you’re ready to recover from property damage by contacting professionals trained to handle water damage restoration in Richardson. Let 911 Restoration of East Dallas give you a Fresh Start today. We are licensed, bonded, and insured to take care of frozen pipes and even flooding caused by blizzards in the winter months. You can even contact us if you suspect you have a mold infestation after experiencing a flood, pipe burst, or sewage backup. 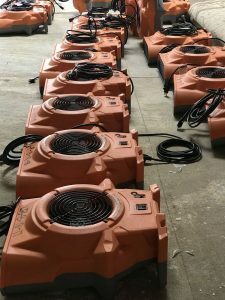 911 Restoration of East Dallas is a full-service property restoration company that can handle all your water damage restoration needs quickly and effectively. Let us begin working to restore your property to better-than-new condition right now. Servicing the cities of Allen, Balch Springs, Casa View, Forney, Garland, Heath, Mesquite, Lawson, Plantersville, Richardson, Rockwall, Royse City, Rowlett, Sachse, Sunny Vale, Thomaston, Tatty, Terrel, Willis Point, Wolcott, Wylie… and surrounding areas.